What are Electric Blankets and What are their uses? 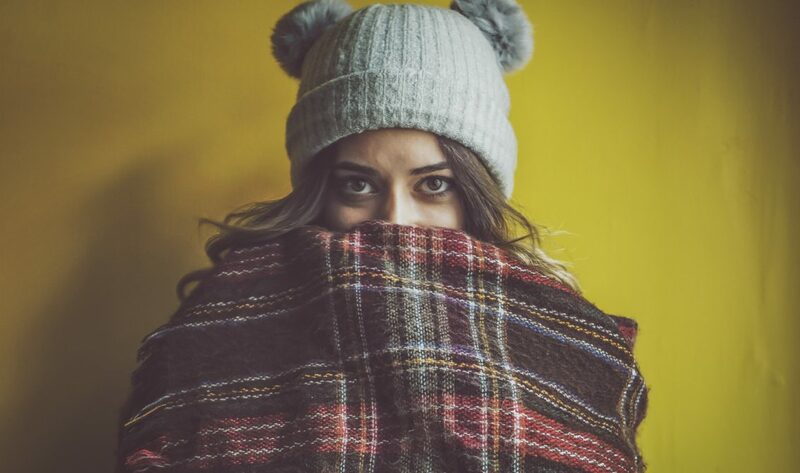 We’re officially making our way into the coldest months of the year, it only makes sense for us to use decent measures to protect ourselves from the cold, methods that help us keep warm, cozy, and protected. Sweaters, mufflers, jackets, socks, etc. are all rather mandatorily common. While they do fulfill their purpose, a lot of the time they aren’t enough. Even while you’re inside a blanket wearing all those apparels there’s a chance you still feel cold. In moments like this, using an electric blanket can make a huge difference. An electric blanket is like any other blanket but contains integrated electrical heating coils or wires. The entire working concept of an electric blanket is pretty similar to that of a heating pad. They use an insulated wire or a heating element, which is inserted into a cloth material. When plugged into an energy source, the wire heats up, warming the cloth too. This helps in keeping us warm and cozy in winters. Best electric blankets have a control switch which helps in accurately assessing and measuring the amount of heat that needs to be generated. In other words, it regulates the amount of current that needs to be passed through to get the desired warmth. In layman’s language, an electric blanket can be defined as a mattress covering or a bed covering which has pre-built heat conducting features when an electric current is passed through it, providing you with a warm and cozy bed in winters. This whole concept of a heating pad or electric blanket started back in 1912, when an American doctor, Sidney Russell, wanted to find a way to keep his ill patients warm during periods of cruel weather. He accomplished this by developing a blanket which used electrical wires insulated with metal tape (inside the blanket). Despite its early discovery, this innovation commercial use did not begin until the late 1920s. Coming from an era when people use hot water bottles, stone bed warmers, or extremely large quilts, the electric blanket was a major innovation and was very widely appreciated. Apart from the several medical benefits it provided to the patients, it was soon used by the general public because of its convenience. They saw a great rise in demand and production in the 1930s and were essentially sold in America and England as luxury items. However, these ‘blankets’ were dramatically different from the ones we see nowadays. It wasn’t until after World War 2 that the safety measures improved for the heating pads as pilots than needed something to insulate them while in the air. The image of the entire product line eventually changed as the war came to an end as something which was modern and needed by the ‘modern family’ for an easier lifestyle. Soon the variations in sizes and heating measures starting flooding the markets, and the blanket was made into what we know today. The major safety concerns regarding the electric blankets or heating pads revolved around their usage and effect of electromagnetic fields. This was intensified when studies, in the 1990s, showed the extremely low-frequency waves that any electrically inductive material showed. The study also showed that it was a factor in the increased risk of brain tumors, child leukemia, etc. These were merely enough for the governments to ban the use of electric blankets and heating pads by women and children. These bans were later, of course, lifted due to lack of scientific evidence. A slight change with the switches was all that was required. Although still lacking proof, the several manufacturers in America made the changes in order to not lose out on the re-opening market. Electric blankets made a major comeback in 1992. Since then haven’t had any safety and security questions raised regarding them. An electric blanket is overall a nice investment to have during winters. It is rather affordable and is expected to last you for quite a long time. Not only does it keep you comfortable during winters, it drastically reduces the risks of encountering hypothermia in extremely cold climates. Most purchase them for the luxuriant comfort and warmth that they provide. These electric blankets are used for several medical conditions also. They help in relieving a lot of pain and treat muscle ailments. It is a major benefactor in relieving muscle soreness and back pain due to the various methods that have been developed over the years in accordance to a heating pad. Heating pads are rather good methods of alleviating pain levels. They work the same way for patients with arthritis and fibromyalgia. Just a little heat on the affected joints leads to a rush in the blood flow to the skin. This contributes to decreasing pain and stiffness by a tremendous factor. A lot of people suffer from cold hands and feet. This can be attributed to another clinical problem caused due to Raynaud’s phenomenon. Heated blankets reduce its symptoms, altogether treating he condition at its very core. One of the most trivial uses can be to not make your bed a breeding ground for the several bugs and mites inside your mattress or quilts. A hotbed is not a breeding bed. While undergoing the process of manufacturing, each and every little element undergoes individual screenings where they are rigorously tested. Any particular element projected having bad quality is thrown out of the entire batch. The manufacturing speed is determined by the demand, which is economical. There are several companies that make these blankets and have been doing so for quite a long time. The entire testing is the companies policy, however, the end product is to be checked by a laboratory mandatorily. The entire audit needs to be signed by the head. Each blanket is plugged in and passed through the highest power mode available, where the inspector observes each blanket. Only after approval allows them to be sold to the general public. Your Kids Deserve a Trampoline Designed With Safety in Mind.